The Canoe Regatta is back! Join the community at the water on September 9th for a day of games, competition, and fun. This year, there is no cost to enter the regatta thanks to generous donations by community sponsors. It takes place at the Dutch Lake Beach from 9AM to 4PM. 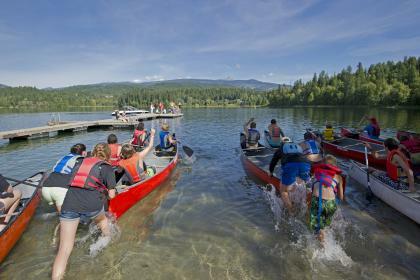 “A full day of fun races and all FREE events at Dutch Lake in Clearwater, BC. Bring your community spirit!